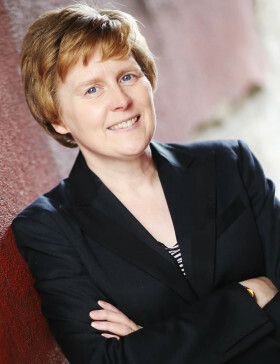 Jacquie Potts formed Marketwise Strategies in 2000. She is passionate about robust research methods, actionable outcomes and ensuring that clients’ needs are central to all that we do. Jacquie has particular expertise in market research and consultancy to inform new product and service development, and to support commercialisation of services in higher education and the not-for-profit sector. She is also interested in organisation culture, structure and information flows – and the implications that these have for marketing strategy and management. Previously Jacquie was Assistant Director (Business Development) at a North East university and Head of Services to Business at a university campus in the North West. In the latter role she also taught marketing strategy and market research at undergraduate and postgraduate levels, including MBA. This background, together with her earlier work in further education, consultancy and human resources, brings a grounded understanding of both employer and provider perspectives on education and skills, and on university:business engagement. Jacquie’s career began in the engineering industry, where she found an affinity with manufacturing and technical products and markets. In the 1990s, alongside her academic career, she achieved success as a freelance business journalist and pioneered some of the UK’s first business training courses in e-marketing. She maintains a strong interest in digital markets and industries.